It should come as no surprise that CO deaths are the highest in winter (December is the second highest month). 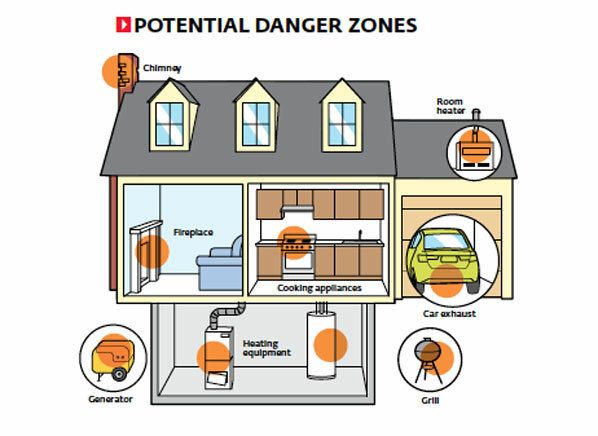 Cold weather increases the use of gas-powered furnaces as well as the use of risky alternative heating and power sources (portable generators, charcoal briquettes, propane stoves or grills) during power outages. Have your heating system, water heater and any other gas, oil or coal-burning appliance inspected and services by a qualified technician every year.